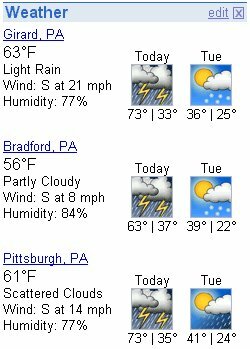 Isn't it sad when you see seventies and thirties in the same day, and you know it's heading down, not up? And I was just getting excited about all the snow melting. Oh, well. At least I won't care about the weather; Region Choir starts Wednesday and then soon after I get back I go to Florida with the marching band. Now as for me getting all that missed schoolwork done, um, we'll talk about that once it's done. So for now, most of my posts are going to be short little things like this. But you'll read them and enjoy them just the same...or else!